Website builders are among the best ways for regular people to easily design as well as build their own sites without writing any code. There is no actual requirement of technical knowledge for the people, whether you are an entrepreneur or simply a hobbyist to create a website. So, what exactly are website builders? Let’s look into it. A website builder is a way to build your own website all by yourself. Gone is the time where you have to manually write HTML code to develop a website. Dreamweaver used to be the pioneer when it comes to building a website. But times have changed. People don’t have any inclination to learn how to code in order to build a website from scratch. Most of them don’t have enough money to hire a professional in order to do so. Current website builders now exist to fill this vast gap and provides the flexibility of code without writing any code. There are more about the freedom from building the website from scratch and they focus more on the bigger picture. They provide templates and allow you to customize them as per your requirements easily. In case you wish to add any basic details, then you can leave it there and you can continue to make changes later on. You are provided with the ability to change everything. All of this can be done online. You don’t have to download any website building software in order to make the website on your computer. You simply have to visit the website, log in, and manage your website from there. They can easily take care of all the related technical stuff such as hosting, domain name etc. in case you want them to. Control and convenience is the basic foundation of website builders. They allow you to easily get a fully functional site up and running without wasting any time. You can make a website within a few hours. Most of the website builders offer tutorial videos to help you in doing so. The main value of website builders is to allow you to focus on function and design of the website. They tend to come in one of the two forms: generated, and drag and drop. The Drag and Drop builders actually do as you say. You can easily position all the elements of the page wherever you want them to be and whichever style that you wish. A generated website will ask you a series of questions and then move on to building a website based on the answers that you provide. You can easily customize the results as well as add or remove different elements but most of them are a more structured experience. In the backend, these website builders also help you in SEO or search engine optimization which gives your website to get the best chance possible in order to rank well on search engines like Google. Most of them offer analytics which allows you to easily see how many people are actually visiting your website, what exactly they are doing and where they are mostly coming from. There are a plethora of website builders which are coming in the market and few of them are that good that you expect them to be. As the market tends to grow, most of them will offer better services. But the main question lies that what good website builders are currently present. It actually depends on the wants and requirement of you. There isn’t any one-size-fits-all website builder. It can’t simply exist. There are too many different variables which are involved. However, there is a selection of best website builders which can meet your demands. We wanted to provide you with an opinion on this particular question so we conducted in-depth research to find out the best website builders. The user experience tests are duly collated with different features, pricing, support and we have made a list of easiest website builders that you can use. Keeping this in mind, the following website builders are meant for people who don’t have any coding background. These website builders are certainly quite easy to use and provide good support as well as intuitive interfaces. However, they don’t provide a lot of backend control like their advanced brethren but in case you wish to make your website without any hassle than these are the best suited for you. Wix is considered to be the best drag and drop and easy website builder present in the market. It offers extensive complete control over the look of your website. You can position any element like logo by simply dragging it and dropping at the place you want. In case you wish to add text, you can also do that with the same process. The interface can be quite overwhelming during the initial period, but once you get hold of it, then Wix is among the easiest website builders to use. For those who are new to designing of websites and wish to learn then it is the best available option. It offers you the freedom to learn basic principles of web design like what to put on the navigation bar, how to present the homepage etc. We have found that Wix has the complete combination of ease of use as well as customer support that is currently peerless. Whether it is novice or professional, one can easily use it. We think it is the best options for the people who are new to web design. It allows you to create simple websites. In our testing, it performed really well. It provides a much detailed and guided building experience and they do it by simply in a way which is easy to follow as well as intuitive. To get any small as well as polished website from scratch, there isn’t any website builder than GoDaddy. It provides domain registration along with hosting too. Now, let’s move on to more advanced website builders. It is a mysterious, suave and a bit pretentious website builder. It is among the most stylish platform at present and the backend is quite sophisticated to handle huge and high-demand website like online magazines. 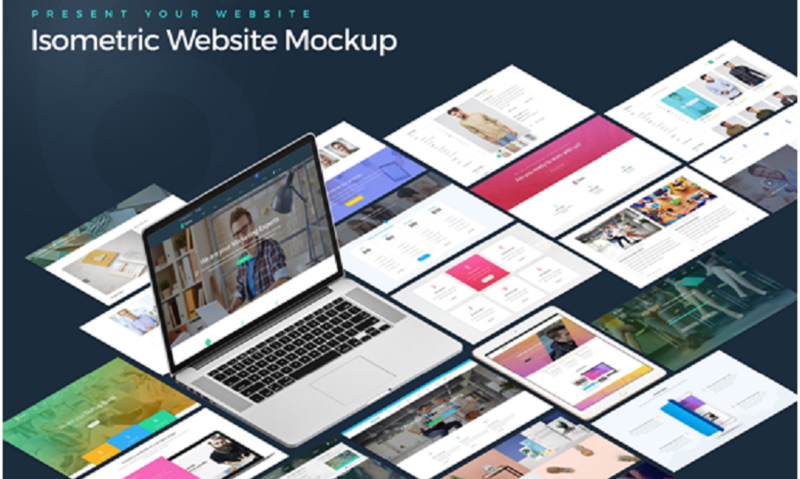 It is rightly renowned for the wide range of quality templates, all of which are completely optimized to work well on both mobile phones and desktops. It was launched in 2006 and it has seen an exponential rise in the recent years. As more people are getting into selling products on the internet, they require somewhere to sell them. That’s where Shopify made its mark. It is quite an effective e-commerce website builder which provide a great framework to set up an online store. Website builders aren’t as perfect as they seem. There are different weaknesses you should know along with their strengths. Websites are quite a serious business and you wouldn’t like to saddle yourself by choosing the wrong platform. Mentioned below are the potential drawbacks and limitations of website builders. Few website builders can be a bit restrictive when it comes down to customizing the website. It is the price which you have to pay for the convenience and the structure. Drag and drop builders like Wix strive to provide you with as much control as they can possibly offer, but they have their own limitations. For getting unique functionality and presentation, there is no alternative to HTML and CSS to create a website. Your website needs a place to be stored in order to allow people to access it anytime and from anywhere. This is called hosting. Most of the website builders provide this, but in case your website is sharing different resources with other websites in the system then it is called shared hosting. It is not an issue for smaller websites but as they are scaled up then it can become a risk. Websites on shared hosting generally have the risk of slower loading speeds and even complete outage in case there is more number of people visiting the website than the maximum limit. With the exception of IM Creator and Weebly, website builders often don’t allow you to back up your website. This makes it quite difficult to move the website from one platform to another. Website builders wish to keep their customers once they have got them and this is why they don’t allow them to take backup. Most of you might never face these problems. There are small limitations but it is required to being clear about website websites to know their exact drawbacks. Most of the website builders offer freemium services or free trial which provides you the ample time to easily weigh them before spending any money. Website development has undergone a massive transformation over the years. It is no longer restricted to web developers who use to have the monopoly on web designing. Website builders have offered the chance for everyone to build their online presence by making functional and stylish websites. You can easily push out any website in a matter of hours in case you really want to, however, we recommend that you take more time. There is a wide range of excellent website builders, but we can’t say for sure which is the best website builder. It all depends on your actual requirements and needs. In case ease of use is most important to you then you can go ahead and sign up for a free trial of any website builder that you like such as Wix or GoDaddy. In case you wish to develop your technical knowledge while building a website then you should go forward to use Squarespace which is recommended by us. Just try them out.